Tyra Banks may be the queen of antics, but Heidi Klum has some pretty crazy tricks up her sleeve. We also know that the model can bust out to a beat just because she needs to channel all that energy somewhere. Sometimes, though, all the 44-year-old German-American supermodel needs is a great dress to get her shimmying. Heidi did not hold back on shaking her thing as she arrived at the iHeartRadio Awards in a golden flapper dress. When you have a dress that moves as fluidly, you would probably do the same. Heidi Klum at the iHeartradio Music Festival held at the T-Mobile Arena in Las Vegas on September 22, 2017. Heidi wears a beautiful gold flapper dress by Indian-American designer Naeem Khan. 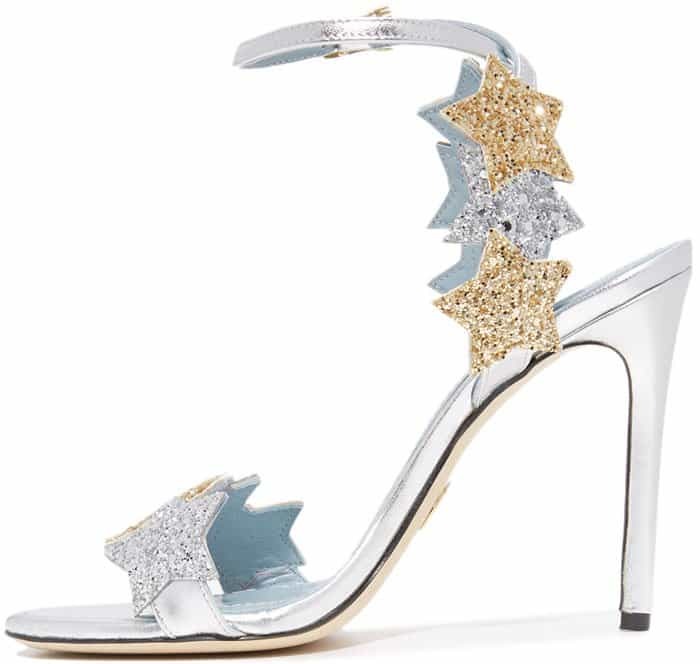 Heidi piles on the glitter with a pair of Chiara Ferragni “Star” sandals. Believe it or not, Heidi’s flapper dress is a bridal dress. You read that right, folks. Though the original design had a higher neckline and wider shoulder coverage, this dress is from the 2017 Bridal collection of Naeem Khan. The Indian-American designer specializes in red carpet gowns and has a penchant for fringe. The supermodel finished her look with a Atelier Swarovski “Marina” clutch and a pair of Chiara Ferragni “Star” sandals in gold and silver. Heidi couldn’t help but shake and shimmy for the cameras. Heidi shows off her toned legs as she pauses for an interview. The supermodel recently wrapped up season 12 of “America’s Got Talent,” which is why she has the time to jetset to Las Vegas and back. Since she’s not quite the musician herself, Heidi appeared on stage to introduce the band 30 Seconds to Mars instead. Heidi recently confirmed that she and boyfriend-of-three-years Vito Schnabel have split. Shop the Chiara Ferragni “Star” sandals at Nordstrom Rack.